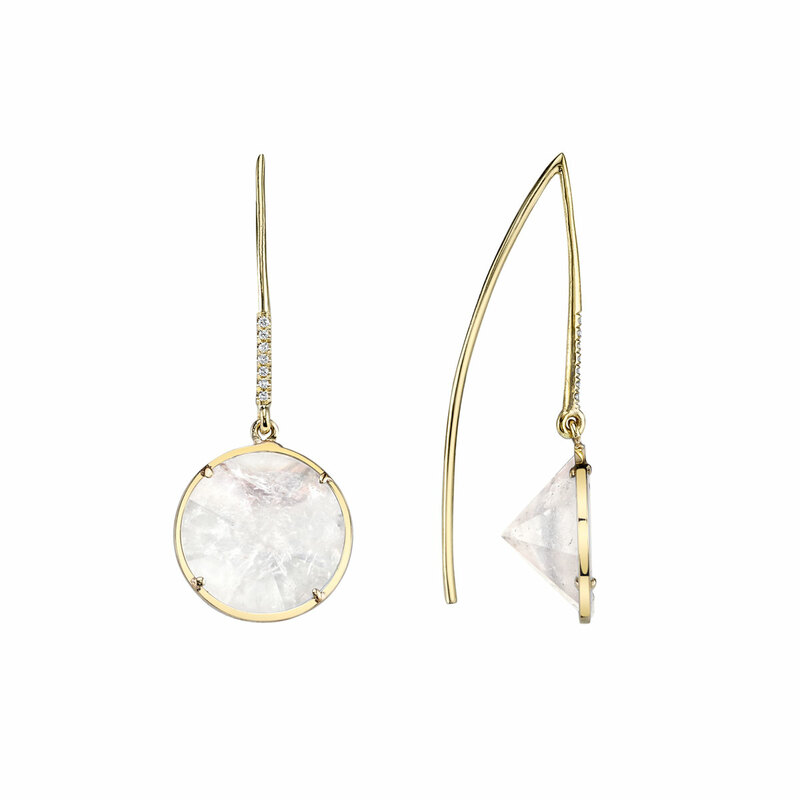 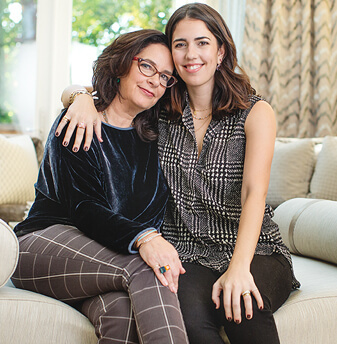 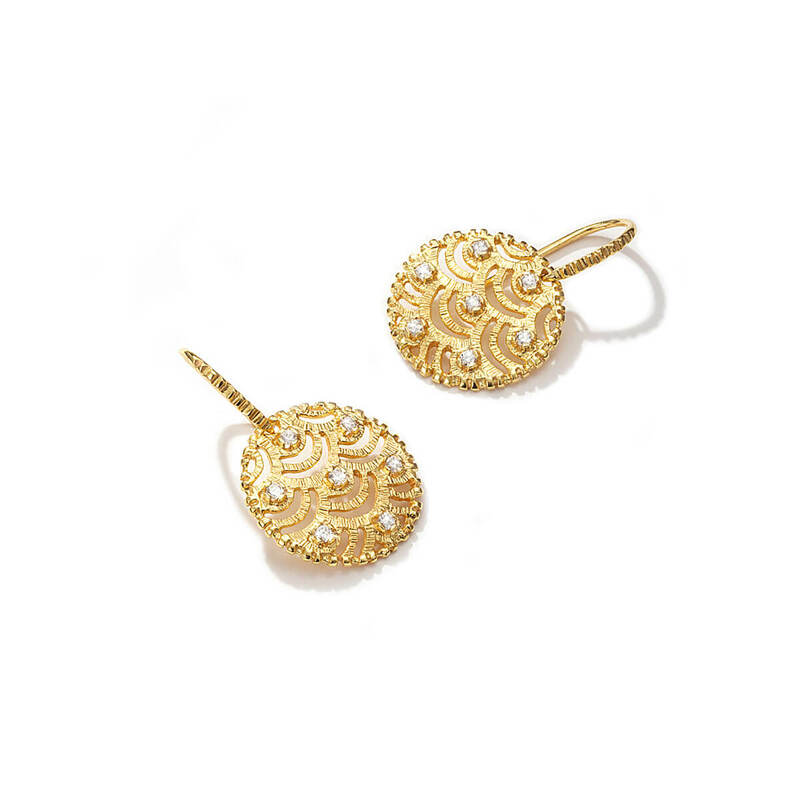 Like a crisp white shirt, these tailored earrings are as versatile as they are classic. 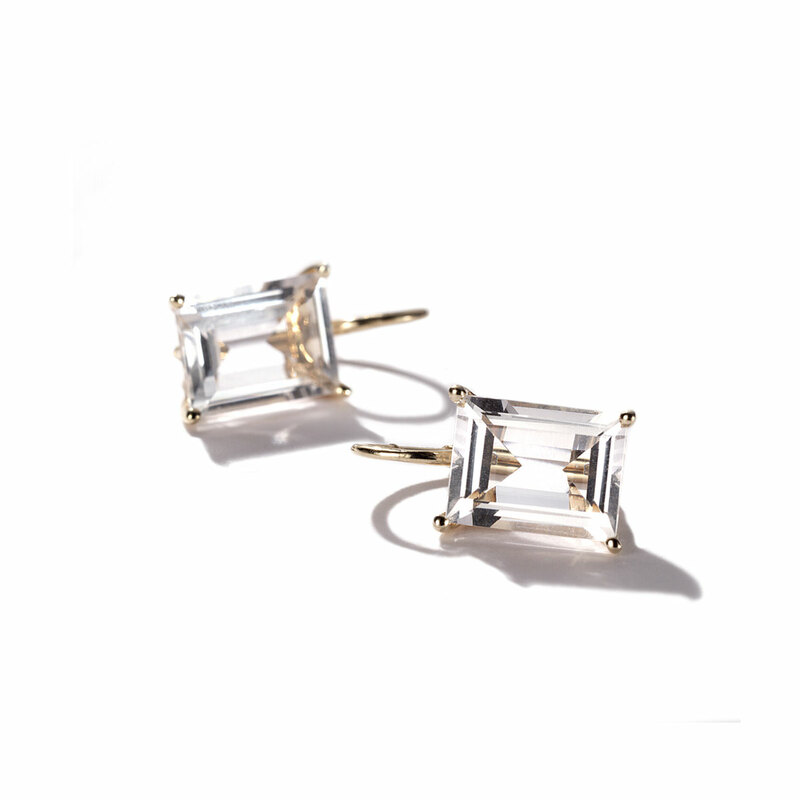 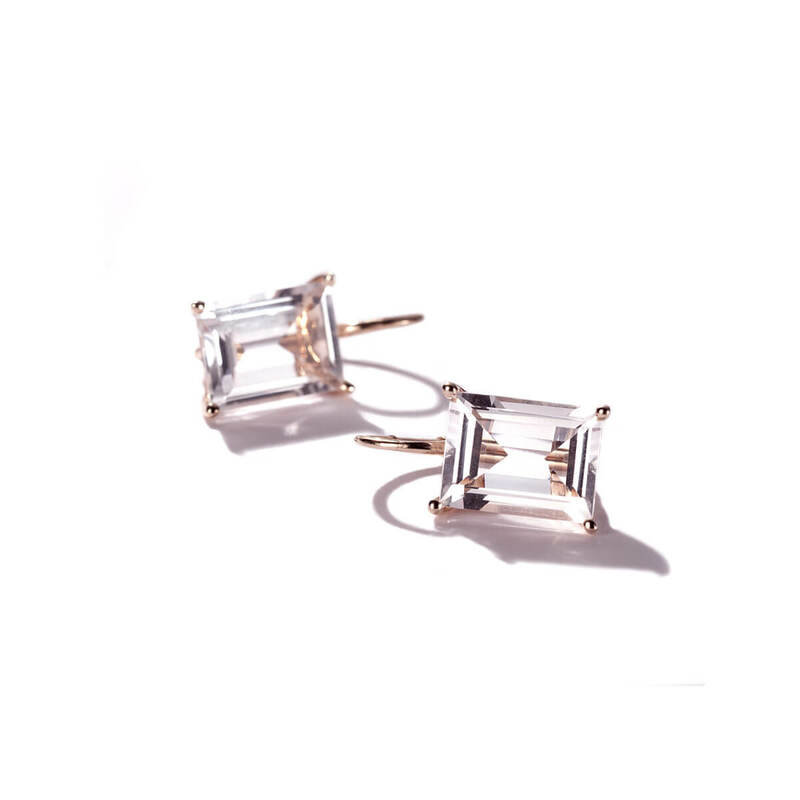 Custom-cut white topaz catches the light like a prism. 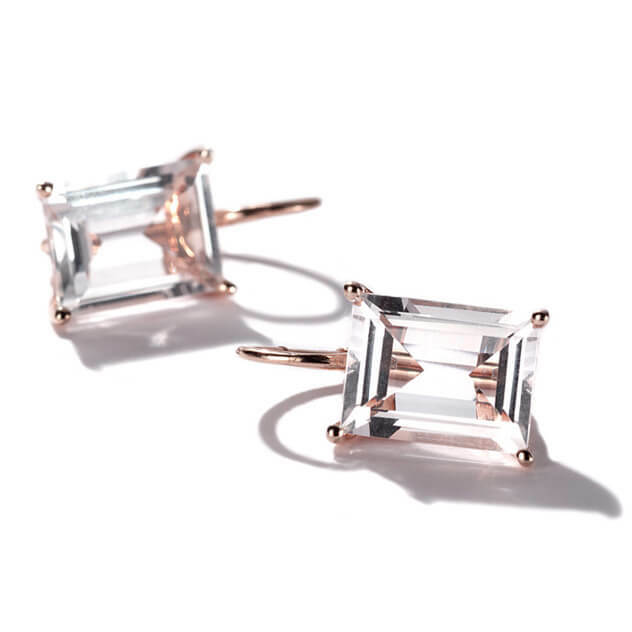 Crafted in 14k rose gold with 14 carats of white topaz.